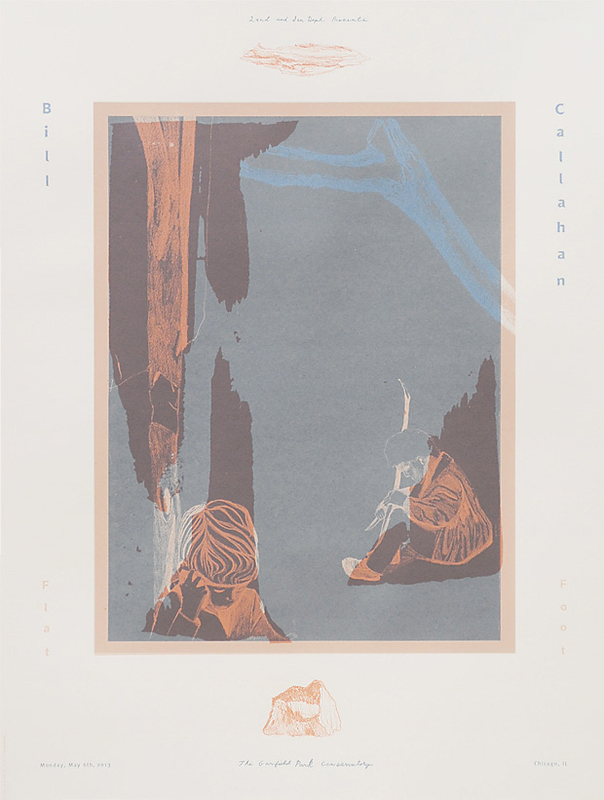 0013 - Bill Callahan @ The Garfield Park Conservatory — Land And Sea Dept. Underground musical legend and raconteur Bill Callahan hadn’t played the US in three or so years, and in returning was interested only in performing in intimate, interesting or odd contexts. Here, we were tasked with finding Callahan a remarkable performance setting, but one that was functional and suitable for a concert-going experience. We’d do anything for Bill, obviously, so suggested doing the first-ever contemporary public concert performance in the 100 year old Garfield Park Conservatory, largely considered one of the finest and most impressive conservatories in the United States. The performance quickly sold out. Jens Jensen – a big LSD influence in his own right – conceived of the Conservatory in 1905 as a venue for presenting naturalistic landscapes ‘under glass’, cementing his legacy as the dean of a ‘prairie style’ landscape architecture that lives on to this day in the likes of Piet Oudolf and others. In addition to the concert itself, we worked with Chicago-based printmakers Sonnenzimmer, a group we work with often, to create a special silk-screen print specific to the event.